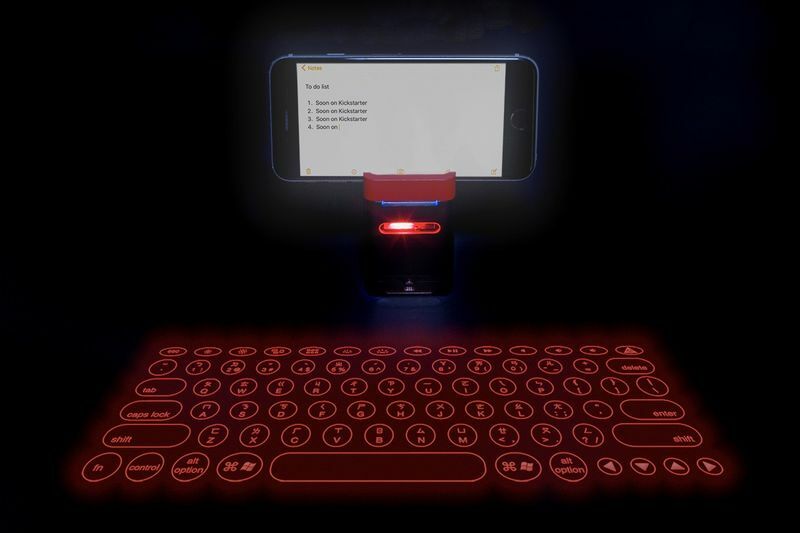 Serafim Keybo is the world's most advanced virtual laser projection keyboard and piano. In just about a second, this virtual laser can turn any flat surface into your keyboard or piano. With Serafim Keybo, you can choose from four different languages keyboard layouts English, Spanish, Arabic, and Chinese, and a recent update now includes French, German, and Japanese. This allows users to type in their language anywhere, anytime. Serafim Keybo allows you to create your music instantly with a built-in music app. Have a great time with your friends or families by playing piano, guitar, bass, or drums during your get-togethers! The Serafim Keybo comes with a 2000mAh lithium-Ion battery which will enable you to type continuously for 10 hours. It also has smart energy-saving modes to save power and enable a quicker return to active mode. When not in use, you can use iKeybo as an external battery charger to power up your smartphones and tablets. It's super lightweight for every day carry. The keyboard layouts of current laser projection keyboards are square keys with no space in between, so it's very easy to mistype unwanted keystrokes. That’s why the company decided to design the round buttons layout to fix this problem. With the calculated round key design, you won’t hit the wrong key again. Take this tiny and powerful tool with you on the go!